Tree Black and White Negative is an urban metallic design from the Abstract Trees and Landscape collection. Part of a bigger set, it measures at 22 inches on each of its side. This particular design is great showpiece that combines elements of life to a lifeless metal canvass. 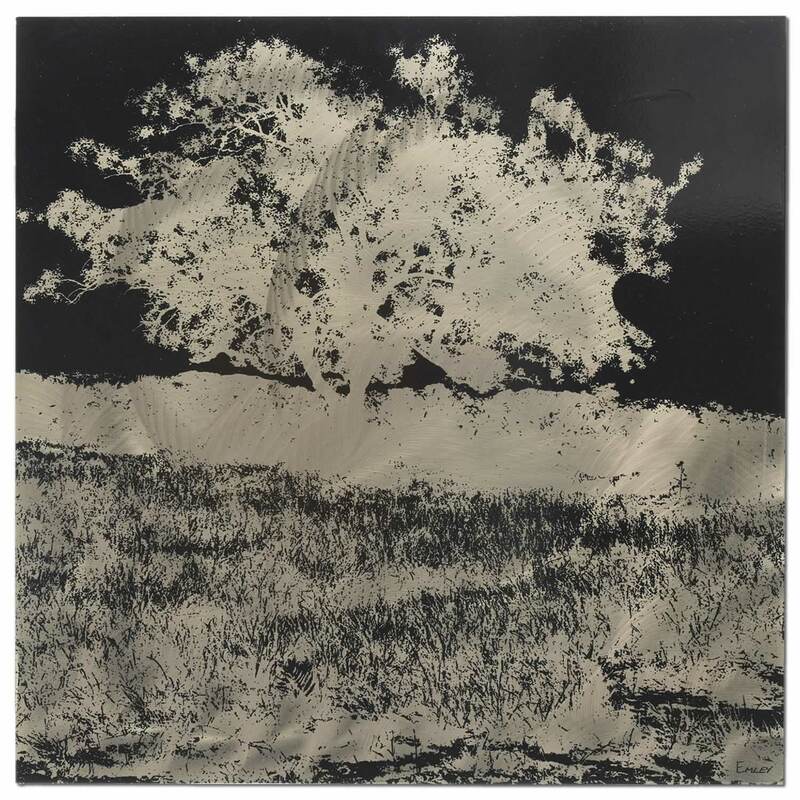 The digital print of a magnificent tree on a prairie with the open sky as a background gives this piece an elegant contrast between the black print of the sky and the sheen of the steel tree and grasslands. In addition, the black print used in this piece creates a new dimension in the piece, an element of depth that creates an illusion of movement and life. This steel wall art is a great piece to converse about and a fantastic piece to place in any modern or contemporary themed space.